We have finally been having pretty, warmer weather but we have been fighting a nasty cold in our house so unfortunately, we didn't get to enjoy it at all. 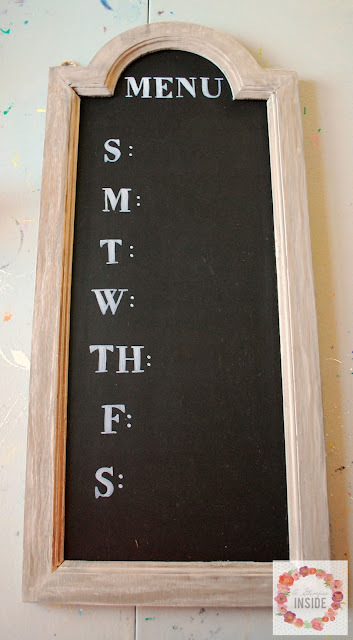 But since we have been cooped up, I was able to get a quick project done for our kitchen. We have been trying to do better and write out our menus for the week. Some weeks have gone better than others but we are trying to stick to it. We have a dry erase board on the fridge that I actually got from SNAP a few years ago. 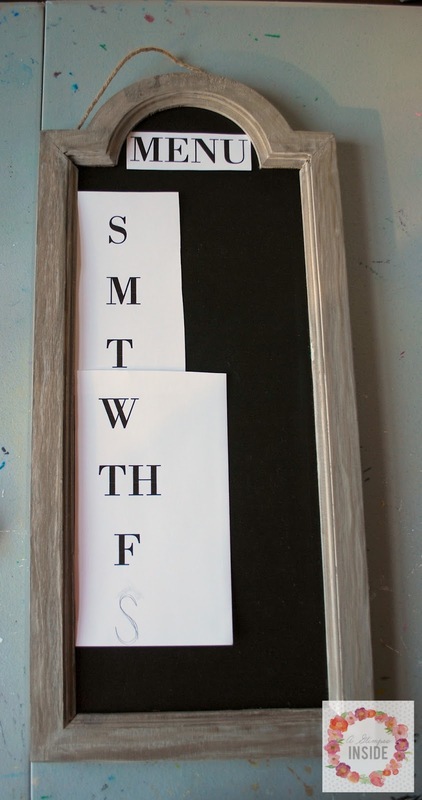 It is double sided and I wanted to use the other side to create a cleaning schedule for myself so I needed a new solution for our menu. 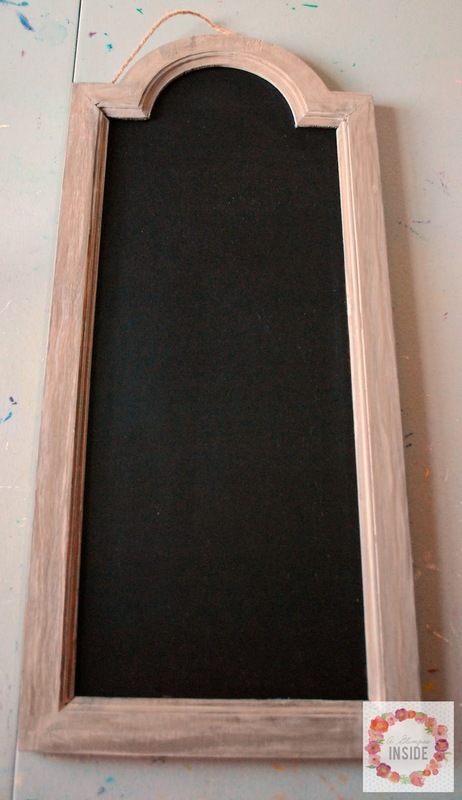 And I will admit, I am super happy with how our new menu board came out! 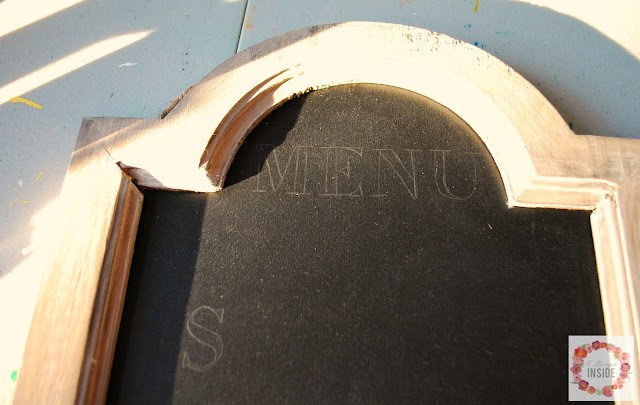 I found this unfinished chalk board at Michael's and knew it was be the perfect skinny width but had good length for a menu board to go in our kitchen between our board and batten. I began by giving the whole frame a light sanding so make sure all the little edges were smooth then wiped it clean. 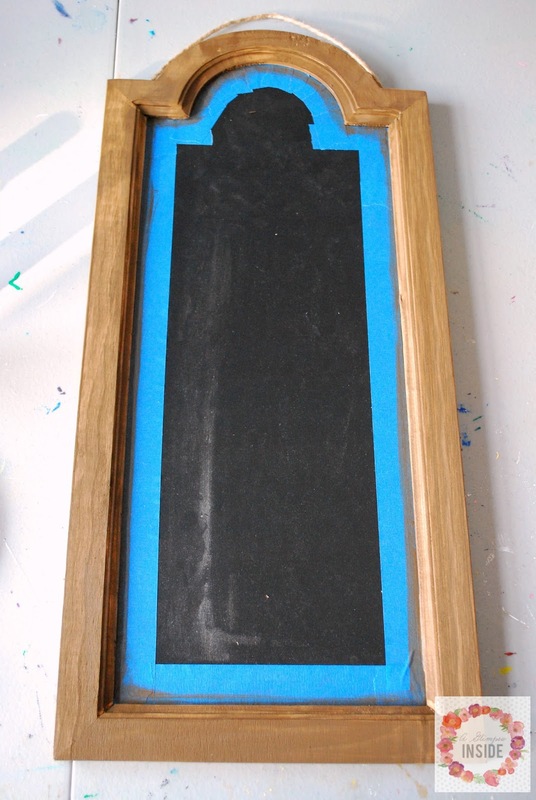 Then I taped off the chalk board around the edge to protect it from the paint. 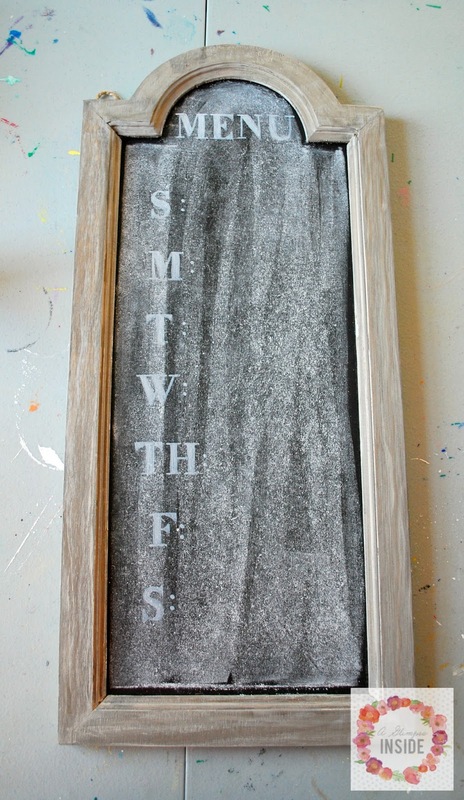 Next it is time to give it the barnwood finish. The kit comes with two bottles, one is a tint much like a stain, and then a white cream wax. You will begin by painting an even coat of the tint to the frame. Let dry at least 4 hrs before continuing to the next step. 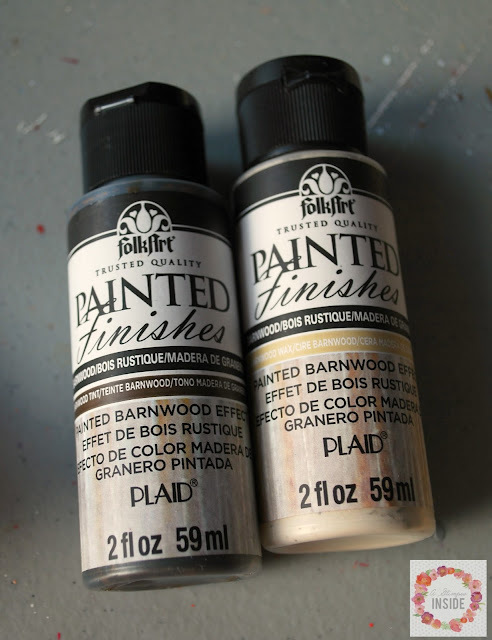 Once your tint is dry, it is time to apply the cream wax that will give you the barnwood look. 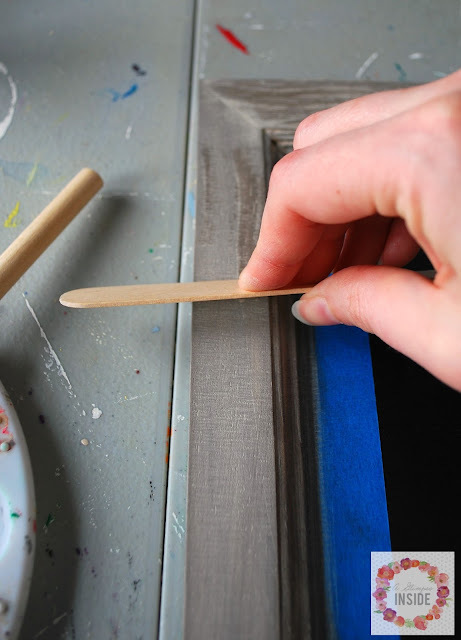 Paint a generous coat of the wax onto the wood. 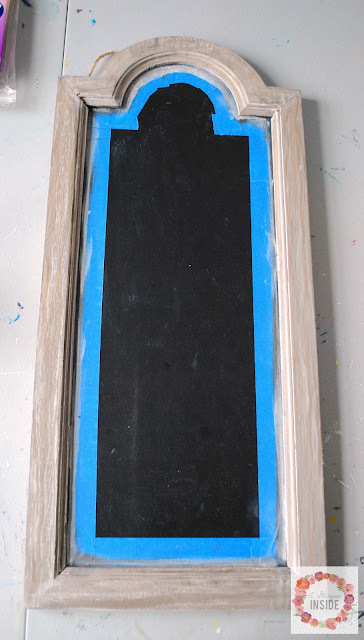 I worked one side at a time because I didn't want the wax to start drying before I was ready for the last step. After applying the wax, take a rag or lint free cloth and wipe off any excess. You don't have to wipe hard or a lot. If you wipe it too much, it will be hard to give it the barnwood effect. After wiping off the excess wax, you will your a craft stick or popsicle stick and drag it along the frame. This will remove some of the wax and create the barn wood look. I went over it a few times until I was happy with the results. I would also wipe off my stick onto the rag to remove the wax that built up on it. You just made a barnwood finish! Continue around the whole piece making the entire thing look like barnnwood and then let dry for 24 hrs. 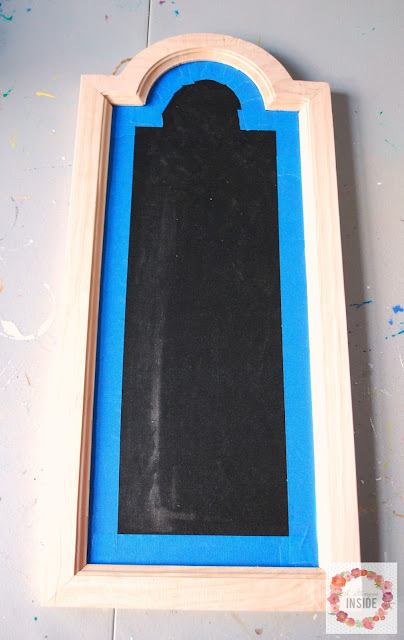 Remove the tape and you are ready to make the board itself. 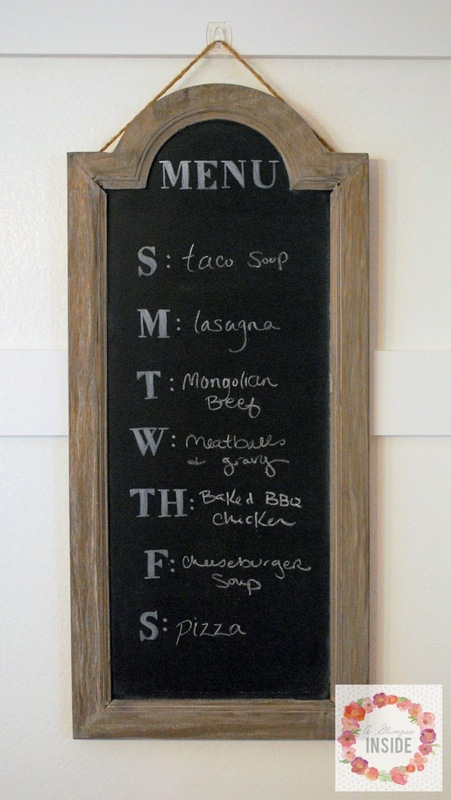 I just opened up Word and picked a font that I liked and typed up the word "Menu" along with letters for the days of the week. I printed them out and cut them apart to place on the board. I then used transfer paper to transfer the letters to the board. Don't have transfer paper, you could just do the good old graphite trick where you rub it all over the back of the paper and then traced the letters. I will say that the transfer paper being dark, I had trouble seeing the letters so I just positioned it into the light better and then retraced them with my pencil so I could see them well before continuing with my chalk marker. Next step, use a chalk marker to trace the letters. Now, you can season your chalkboard before this step if you ever want to use this board as something other than a menu board. I didn't see me using it for something else so I didn't do that before I wrote those out. 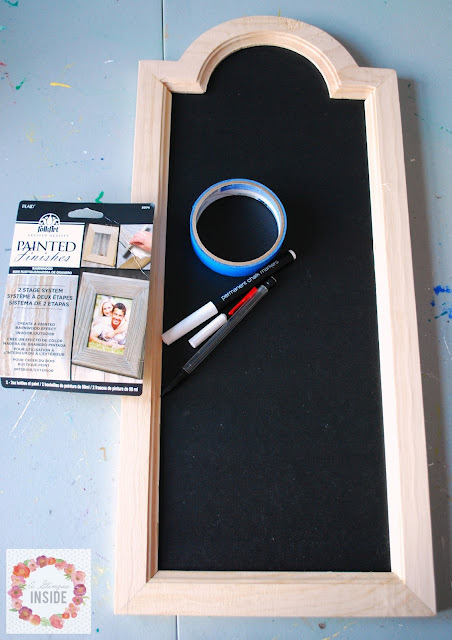 Just take a piece of chalk and rub the whole board with it and wipe it clean. And now it is ready to use! I hung it in our kitchen near our fridge just off a little Command hook and it is ready for weeks of meals. 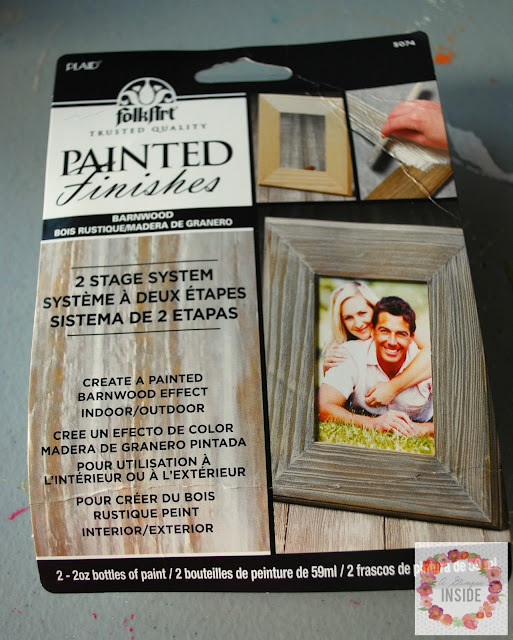 And now I will admit, I am ready to figure out what else to use the barnwood finish on!! This is great! My boyfriend and I write out our menu for the week, and have got pretty good at keeping up the routine, but we just have a little dry-erase board. This would be so much better! This turned out really cute. Nice job!